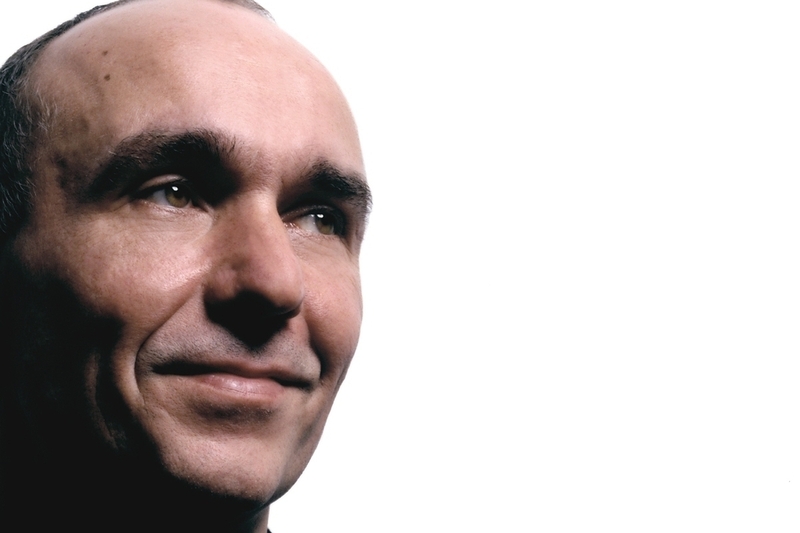 As the experiment ends, we look back through Peter Molyneux's most memorable moments. Earlier today, Peter Molyneux announced that the final cube had been removed in the Curiosity experiment, bringing the event to a close. The winner, Bryan Henderson from Edinburgh Scotland, will become "the god of all players" in 22cans' upcoming Project Godus as part of his "life-changing" prize. In addition, Henderson will also receive a certain share of the profits generated by Godus. It's a been a long and sometimes bumpy road for 22cans, from launch delays, to show-stopping technical troubles as the servers became overloaded, in-app purchase controversies, and skepticism when Molyneux turned to Kickstarter to fund the studio's second experiment, Godus. Much has been written about the experiment since its inception, but here are some of the most memorable quotes from the man himself. "You know my biggest fear? My biggest fear is it's half a million people [playing the game]. If it gets featured on the App Store we're f*****." "127,000 people built the pyramids. Human beings can do unbelievable things, unbelievably quickly if they do it together. So that's a huge fear." "It's so amazing I think it will appear on news reports, though it's not a dead cat, by the way." "I can't blame people for not believing. I know I've said things. I wish I could not say them, I guess. I just...I still believe so much." "I think I will be doing games until the day I die. I can't see that, at this rate, the way I'm burning through my life...I don't see that I'll be alive much longer." "I've put a lot of my own money into 22cans and a lot of my own money into Lionhead. I didn't have any money to put into Bullfrog but I would have put a lot of money in. There comes a point where the money you put in becomes very painful. "We can't be ashamed for asking people to spend money. We can't be ashamed of that. As a designer that is proof that I have done something meaningful." "I don't expect for a second for the cube to make us any money. It's actually costing quite a lot to develop it because it's not just a cube, it's a real technology." "It's an insane amount of money. This is not a money-making exercise; it is a test about the psychology of monetisation." "He's another reason why I left Microsoft...he was out there, and I was watching and laughing at his tweets probably harder than anyone. This guy, he can do all this stuff, he can be that free, he can explore these ideas like throwing babies into pits - you couldn't do that with the corporate PR machine at Microsoft." "This would be impossible within Microsoft. For a start, me saying to Microsoft, I'm going to put a cube with something secret in the middle, they'd have to know the secret. It would be out of the question." "We felt people were just getting tired," he said. "People are forgetting that idea of what's in the middle and they're just going onto the cube to tap. "You, the person who has reached the centre, will be the god of all players. You will intrinsically decide on the rules that the game is played by. And here's the life-changing bit: you will share in the success of the product. Every time people spend money on the product, you will get a small piece of the pie."